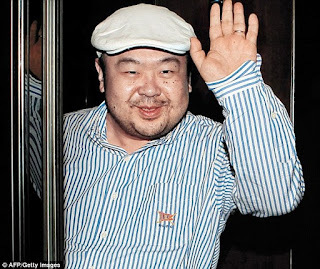 On 15 February, Malaysian police arrested a woman in connection with the assassination of Kim Jong Nam, half brother of North Korean Dictator Kim Jong Un (photos right). Last night, news services reported that a second woman has been arrested in connection with the assassination. 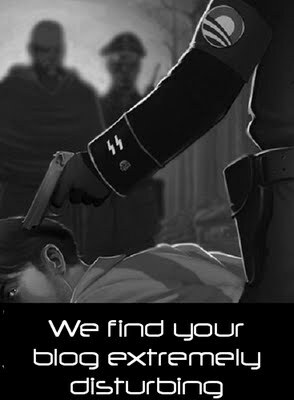 Authorities said they are also searching for four male suspects. The Malaysian government has refused a North Korean demand that Malaysia not conduct an autopsy on Kim Jong Nam. Malaysian doctors have completed the autopsy. They have not released any details. Historically, three North Korean agents from the Korean People’s Army attempted to assassinate South Korean President Chun Doo Hwan in October 1983 during a state visit to Rangoon, Burma. Burma executed, killed in a gunfight or imprisoned the three men, who were army officers, and suspended diplomatic relations with North Korea. North Korean leader Kim Jong Un was concerned about whatever his elder half-brother was doing to justify action that would embarrass Malaysia in this fashion. It is one of the few states with which North Korea has normal relations. If the Norks were responsible for the assassination, it would not be unusual for Malaysia to suspend friendly relations with the rogue dictatorship. It's also possible that China could have arranged the assassination. After the missile launch on 12 February, China might judge that it needed to send a message to Kim Jong Un about his fragile mortality. However it's not just China. Other countries have strong motives to want to send a message to North Korea by assassinating a Kim family member. North Korean intelligence services have demonstrated they have the means for assassinations. As for opportunity, the distractions and tension in an airport boarding area provide an opportunity to catch waiting passengers unawares and vulnerable. The motive would be to silence a regime critic and potential alternative leader from within the Kim family. The late Kim Chong-il exiled, rather than killed, his half-brother, Kim Pyong-il, as North Korean ambassador to a variety of eastern European states. He currently is the North Korean ambassador to the Czech Republic. Pyong-il is a graduate of the Kim Il-sung National War College and held the rank of colonel in the Korean People’s Army at one time. He is the only son or grandson of Kim Il-sung who served in the Korean People’s Army. Kim Chong-il never let his half-brother return to North Korea for fear he might rally the Army. He is 62. The South Korean National Intelligence Service reported that North Korean agents tried to assassinate Kim Jong Nam in 2012 in Macao, within the first year of Kim Jong Un’s succession. 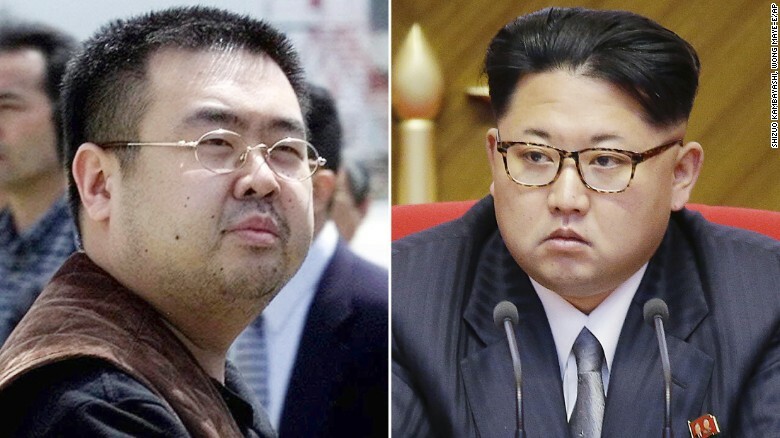 Kim Jong Un reportedly issued a standing order to assassinate his half-brother, according to the South Koreans. Make what you will of the limited evidence. Chinese Foreign Ministry spokesman Geng Shuangji declined to answer questions about China’s reaction to the assassination of North Korean exile Kim Jong Nam in Malaysia. He said the Malaysians are investigating it and China is closely following developments. On 13 February, a Chinese Foreign Ministry spokesman said that China “opposed” the North Korean missile launch on 12 February. That is language that China has used only in reference to the North Korean nuclear testing program. Chinese statements have been careful to distinguish between the two programs. China has never before stated publicly its opposition to the North’s missile program. It also has accepted the North’s argument that it is a defensive program generated by the US threat to North Korea. The latest launch reinforces South Korea, Japan and the US in their decisions to upgrade missile defenses. North Korean testing helps ensure the failure of China’s efforts to prevent the installation of the Terminal High Altitude Area Defense (THAAD) system in South Korea. Kim Jong Un’s timing in approving a missile test during Japanese Prime Minister Abe’s visit to the US was particularly unfortunate for China. Chinese President Xi and US President Trump recently had a positive telephone conversation. Chinese patience with the US appeared to be having a positive effect. North Korean actions are making North Korea and China less safe. China’s patience with North Korea is running out. However, China still considers the US threat to North Korea to be partly responsible for North Korea’s missile program. Our mutual blogging friend, Dr. Jim, a volunteer on the USS Iowa (BB-61) hosted a behind-the-scenes tour for me yesterday. Thank you Jim. It was a GREAT EXPERIENCE! There are about 1,000 volunteers that keep the ship running with about 300 of those working as key players. Dr. Jim is one of those essential people--until he leaves for Colorado and makes his CALEXIT. For those of you who have seen the movie, "Battleship" where the USS Missouri takes on aliens, the USS Iowa could be at sea in her current configuration. The standard start-up time for an Iowa Class Battleship is 24 hours. If there was sufficient crew and fuel, she is capable of getting underway, and has some rounds for her 16" guns. The navy won't repo the Iowa, but the concept of using it offensively does have some fantasy appeal even if there are no space aliens to shoot at with the big guns. Having Dr. Jim take me in tow and show me what the normal public tour never sees (such as Forward Fire Control) and getting my mitts on the triggers of the 16" guns, was nothing short of spectacular. Thanks again, Jim. It was an excellent break from reality. Today, back to reality.